When I first moved to Wyoming from North Dakota in 2009, I found myself in an entirely new arena of hunting. Whether it was trying to understand the regulations, picking a hunting area, or finding a map, I had no idea where to start. Armed with my background in GIS and database management, I set out to create a system of products that help others access the information they need, without the headache that I went through. 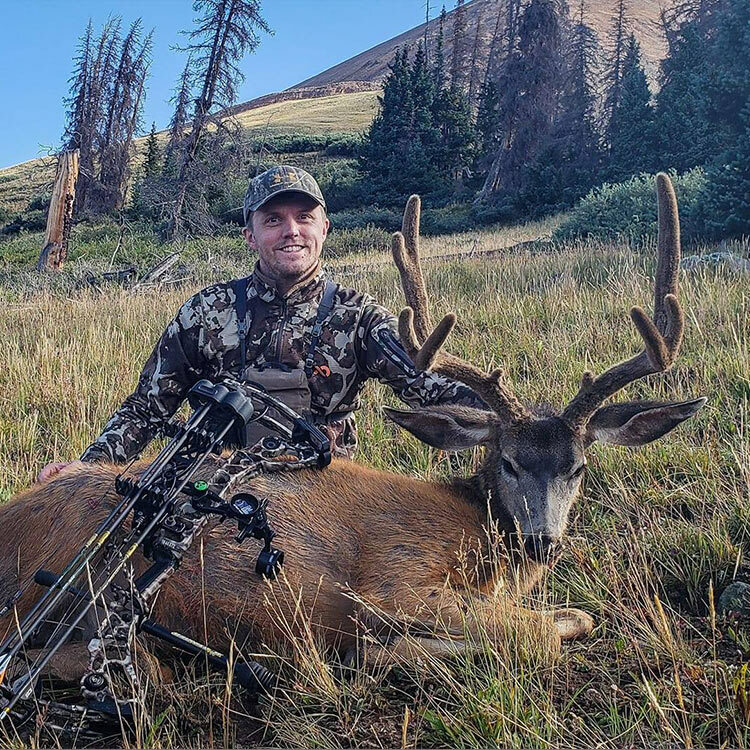 Officially founded in July 2010, DIY Hunting Maps currently serves Wyoming and Colorado as a premier information company. The focus is to create and maintain an information database about everything related to Elk, Deer and Antelope Big Game Hunting. We do two things as an information company; we make mapping products and a web-based information system. For mapping products, we produce species-specific hunting unit maps. These maps include all the relevant hunting information we can fit on the media. All maps contain Land Ownership, Campgrounds, All Roads (even decommissioned and closed Forest Service Roads), Hiking Trails, Pack Horse Trails, Hunting Unit Boundary, Water Bodies, Rivers, Wilderness Areas, and 50- Foot Topographic Contours for Deer and Elk and 100- Foot Contours for Antelope. Our website also boasts one of the most up to date hunting resources in terms of information and statistics for all your hunting needs. Whether you want to compare units by stats, or have an easier time getting unit information for Harvest Reports or Draw Odds. We are constantly changing and thinking of new innovative ways to get this information to you. We combine information from all the places public information is available. We make sure to utilize every agency from federal, to state, and even local agencies. This allows us to keep our website up-to-date and design a map product that combines the important information from every map on the market, and consolidate them into one, simple-to-use map for this year's hunting season. We use techniques that ensure our maps are constantly updated and improved, providing unrivaled detail and accuracy. DIY Hunting Map's mission is to be the leading hunting information resource. This includes creating a map product that a hunter demands in a single, easy-to-read map. This map should reflect the highest quality of durability, create new relevant hunting information, and lead the industry for innovation and pricing. We also strive to have the most convenient website for all your hunting information and statistics. During the next decade DIY Hunting Maps will be striving to expand to a larger area, become the leader in hunting maps across all markets, to develop the latest and greatest technology and information for the GPS chips and ecommerce market, while giving back to their employees and investors. We ultimately strive to have our brand name synonymous with not only the map market, but simply Big Game Hunting period. This time of the year, I'm usually working on the website, so it's best to email me. The hours I work tend to not allow me to get back to you at a reasonable time. If you need me to call you, email me a message and your phone number and I'll give you a call as soon as I can. Orders normally arrive in 3-6 business days after the order is received. All orders are shipped using First-Class Mail Parcel from the USPS. A notification will be sent when the order is both received and sent to the Post Office for delivery. Once the items are received, the cost of the item will be credited to the account from which the original purchase was made.